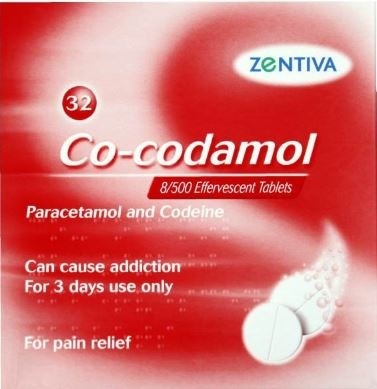 Co-codamol tablets are for the treatment of pain, including muscular and rheumatic pains, headache, migraine, neuralgia, toothache, sore throat, period pains, aches and pains, discomfort associated with influenza, feverishness and feverish colds. Contains Paracetamol 500mg and Codeine 8mg. Suitable for adults and children 6 years and over. Brand and packaging may vary.